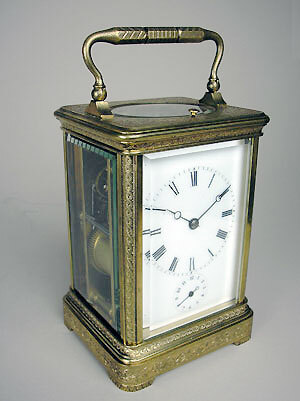 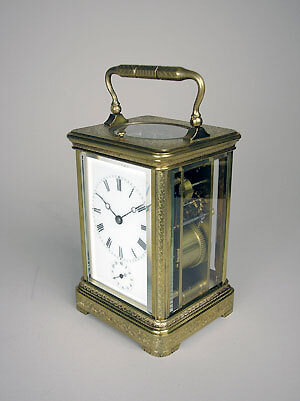 This is a fine and rare carriage clock by Drocourt, Paris, with alarm and strike and repeat. 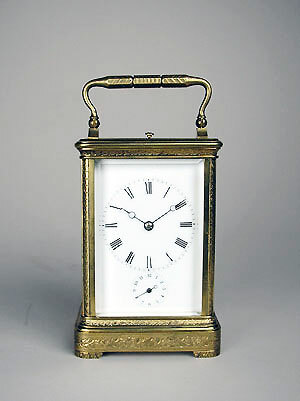 The gilt brass case is fully engraved with scrolls and flowers. 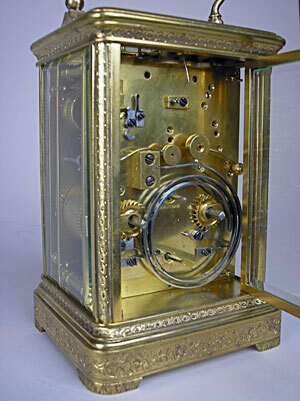 The clock has lever escapement to the top and Drocourt trademark stamped to the backplate.